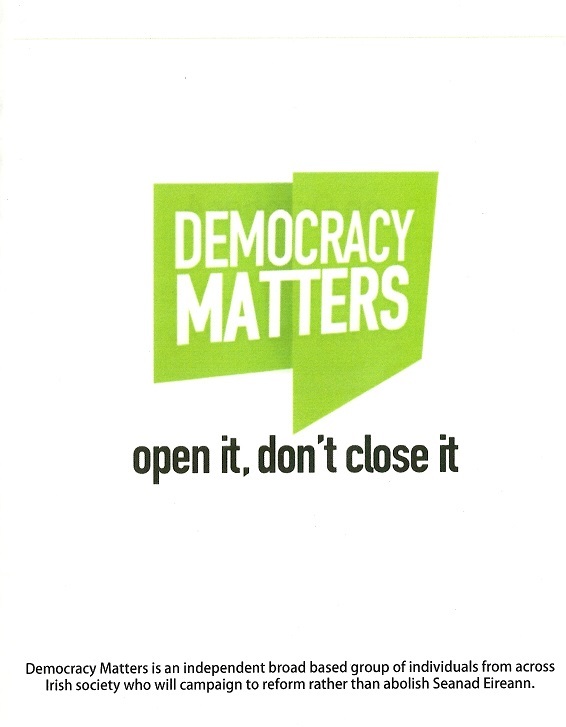 From early in the Seanad Referendum a leaflet “open it, don’t close it’ produced by Democracy Matters. Reason 3 ‘Vote No to Revive The Economy’ was dropped from their later material. 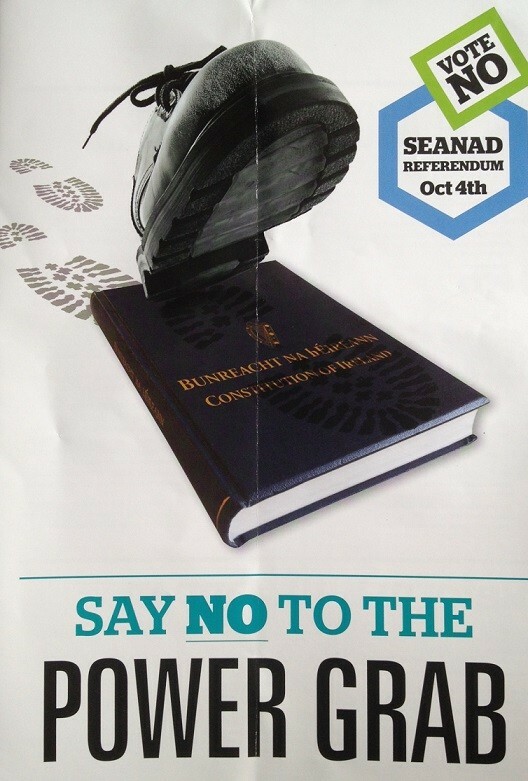 From the Seanad Referendum Campaign a “Say No To The Power Grab” Leaflet published by Michael McDowell. McDowell was of course previously in favour of Seanad Abolition. 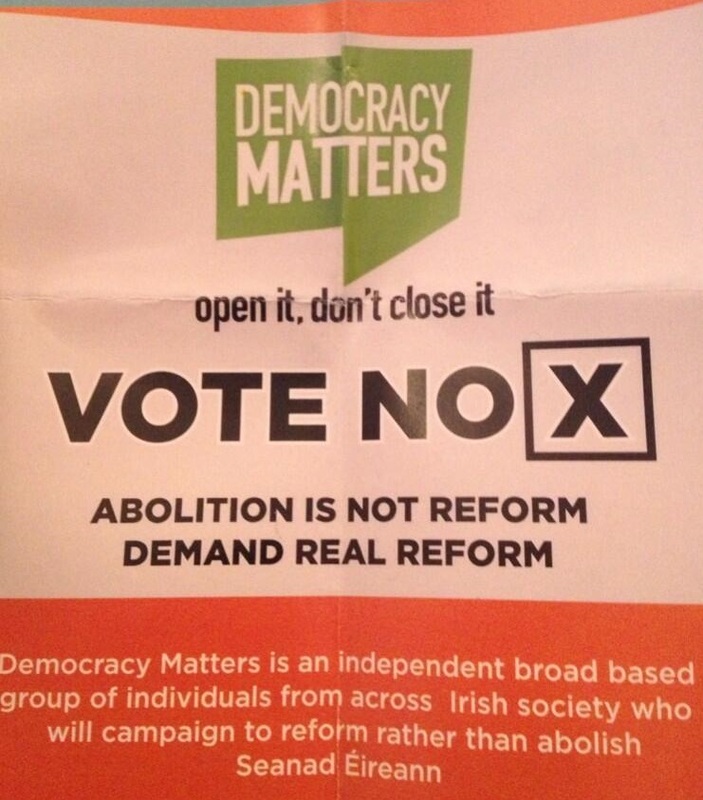 “open it, don’t close it” Vote No a Seanad Referendum Flyer from Democracy Matters a group that are advocating a No vote.